Connect this Access Point to a broadband modem and wirelessly share your Internet connection. The D-Link DAP-1360 access point is a draft 802.11n compliant device that delivers up to 14x faster speeds1 and 6x farther range1 than 802.11g while staying backward compatible with 802.11g and 802.11b devices. Enjoy surfing the web, checking e-mail, and chatting with family and friends online. The DAP-1360 provides 64/128-bit WEP encryption and WPA/WPA2 security to protect your network and wireless data. 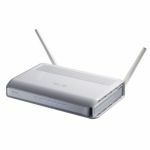 This device also supports WiFi Protected Setup (WPS) to quickly and securely setup a wireless network. In addition, it also provides MAC address filtering a nd the disable SSID Broadcast function to limit outsiders’ access to your home and office network. 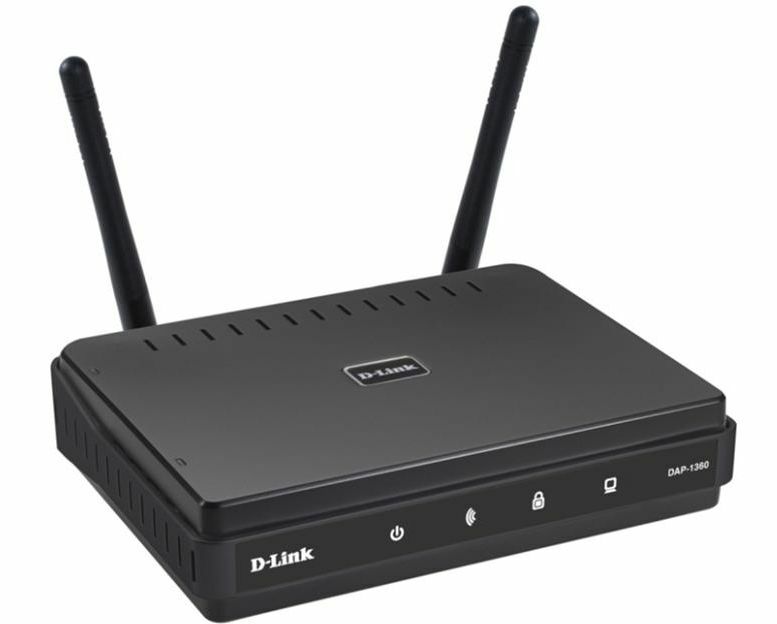 The DAP-1360 can be configured to operate as (1) an Access Point to act as a central hub for wireless users, (2) a Wireless Client to connect to another Access Point, (3) a Bridge to joint two wireless workgroups together, (4) a Bridge with AP to act as wireless hub and a bridge at the same time, (5) a Repeater to extend the wireless coverage to cover all “dead” spots, (6) a WISP Client Router to let wireless Internet service subscribers share Internet connection with home/office Ethernet-enabled computers without the need for an extra router, or (7) a WISP Repeater to let WISP subscribers share Internet connection with wireless computers without any extra router. With D-Link Setup Wizard, you can set up your wireless network in minutes. 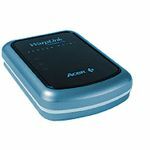 It configures your DAP-1360’s operation mode and makes it easy to add new wireless devices onto the network, and helps you create a simple wireless network for your home and office. 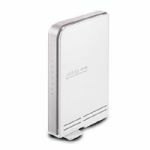 Can be flexibly configured to operate as an Access Point, Wireless Client, Bridge, Bridge with AP, Repeater, WISP Client Router or WISP Repeater. Complete set of security features including WEP/ WPA/WPA2/WPS to safeguard your network against outside intruders. Wireless N draft standard offers an increased range that is six times further than 802.11g.